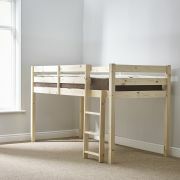 Molly 3ft Single SHORT LENGTH Solid Pine Cabin Bed. 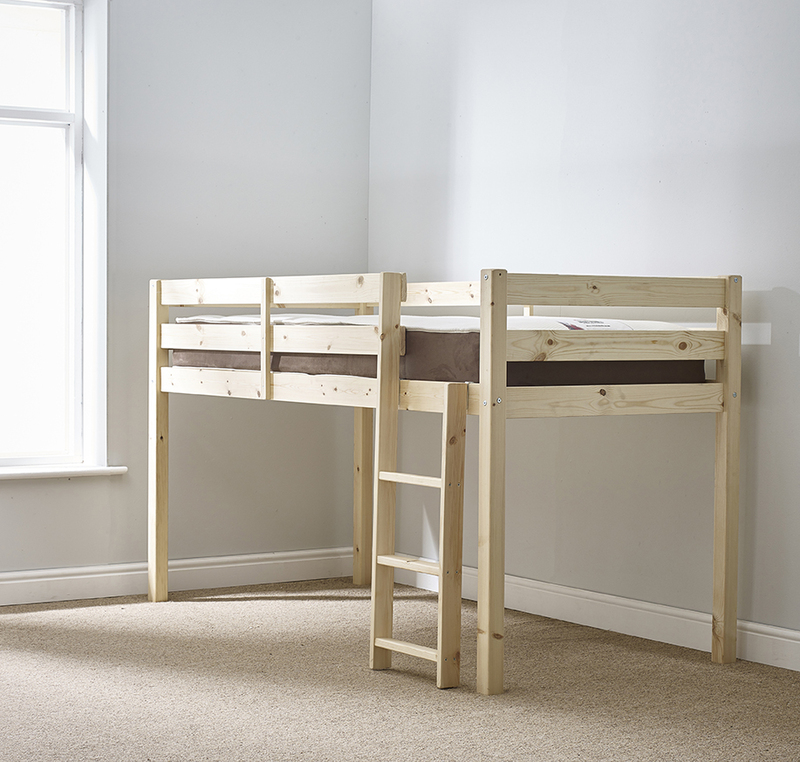 Manufactured using sustained, solid scandanavian pine wood. The siderails are strengthend to take additional weight. 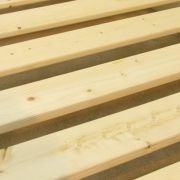 The base consists of solid timber slats. The ladder steps are flat, these are easier on the feet. 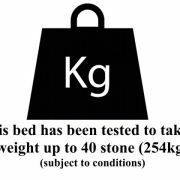 This bed is manufactured to British Standard EN747: 2012 Part 1&2 entrapment regulations. 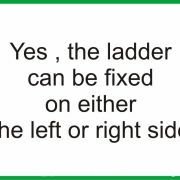 Note: The ladder is universal, can go to the left or right of the bed. This bed was bought to fit a very small room. It's really solid, well made and the company was fab from start to finish. 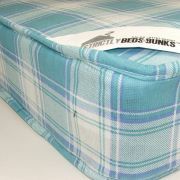 The web site is clear and easy to use, the customer service was excellent and the delivery process was amazing. 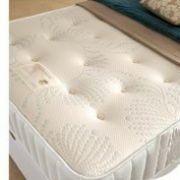 Almost ordered a similar bed from a well known retailer, their delivery time was 6 weeks, they charged �8.95 per delivery. 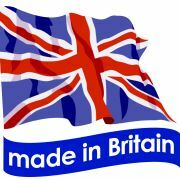 This company was fast, great value and the delivery was second to none. They even arrived as we were told on the dot of 7.15am.